This stunning 25-light Chandelier only uses the best quality material and workmanship ensuring a beautiful heirloom quality piece. 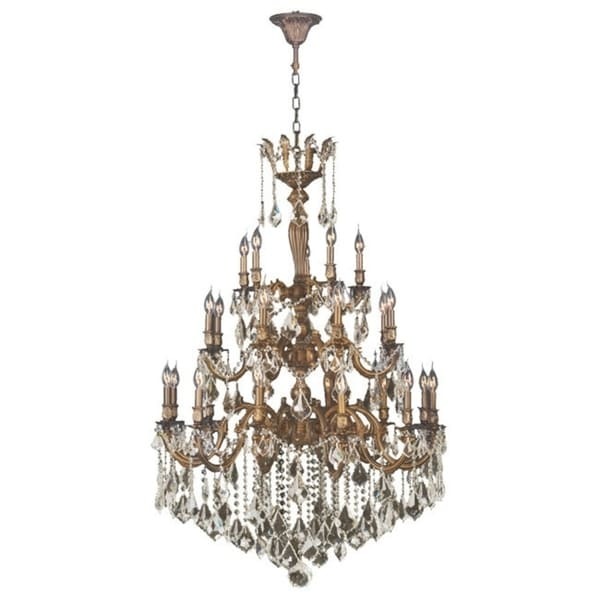 Featuring a cast aluminum base in french gold finish and all over golden teak crystal embellishments made of finely cut premium grade 30-percent full lead crystal, this chandelier will give any room sparkle and glamour. Dimensions 12.0 In. X 36.0 In. X 50.0 In. "How much does this Chandelier weight?" The shipping weight is approximately 132 lbs.